Wash and peel potatos. Cut them into four. Deep fry potatos with oil. Now in a wok heat 1 tbsp oil. 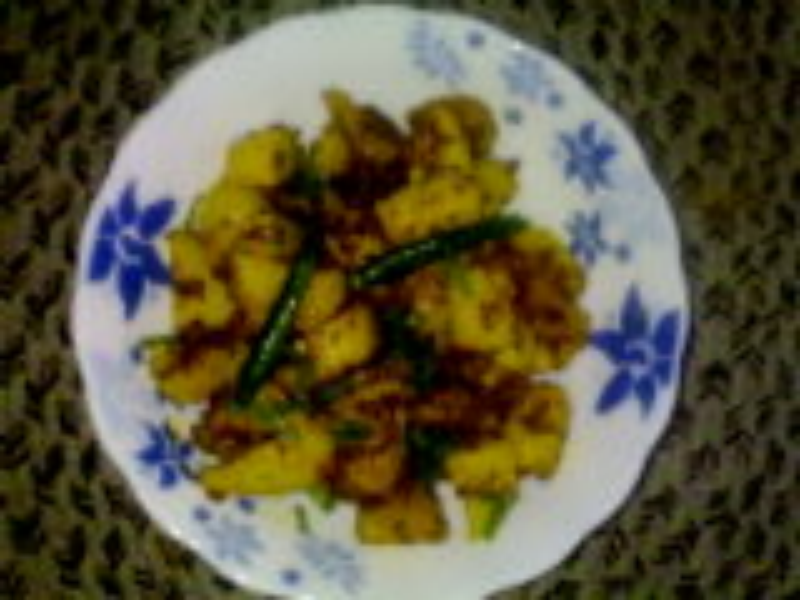 Put sesame seeds, jeera, ajwain, mustard seeds, hing to crackle, add fried potatos. Add all powdered masala and mix well. Add lemon juice and salt mix well. Garnish with chopped coriender leaves.